Let us know how you enjoy your favourite drop and be in to win with Dish. 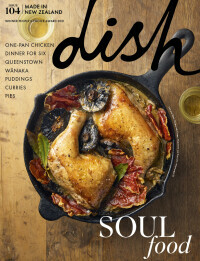 It goes without saying that we're a pretty passionate team of wine-lovers here at Dish magazine. Whether we're sipping and savouring the Dish Tasting Panel's Top 12 drops or enjoying a lesser-known varietal at our favourite new restaurant or vineyard; if there's wine, we're there. In a bid to better understand what our favourite foodies are sipping on and how you enjoy your favourite wines, we're conducting a short survey, dedicated to the Dish drinker. To say thanks for taking part, we're giving everyone who completes our survey the chance to win a full-access print and digital subscription to Dish, for 12-months. Please note, you must be over 18 to complete our survey. To be in to win, simply fill in your details and submit your answers right here.